Melbourne has gone dino crazy this Autumn, what with the opening of Jurassic World: The Exhibition at Melbourne Museum and Jurassic Creatures in Docklands. You may ask yourselves, which exhibition is best for your child? In a nutshell; Jurassic World: The Exhibition at Melbourne Museum is absolutely amazing. That said, the exhibition is really aimed at children age 6 plus through to adults. The technology and work behind the world premiere event at Melbourne Museum, is so advanced, that little kids may fright. 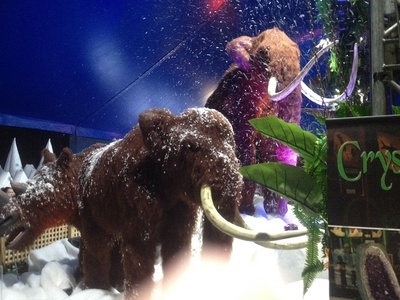 Jurassic Creatures: Prehistoric Creatures of the Ice at Harbour Town in Docklands on the other-hand, is great for young children because the additional activities are aimed at little dino fans. 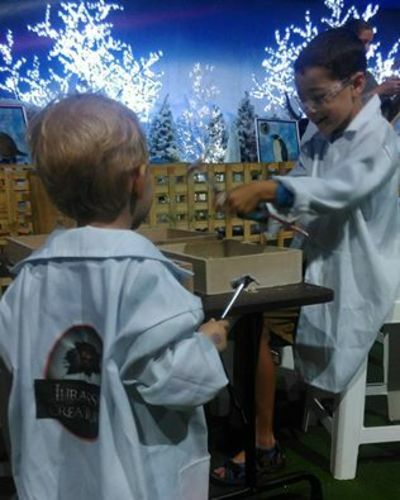 Jurassic Creatures is a 2 ½ hour interactive walk through event. 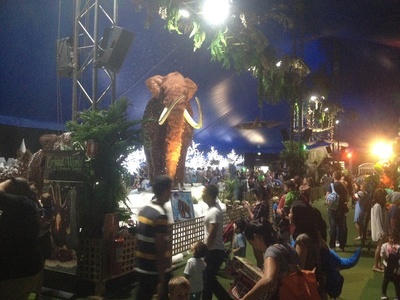 The exhibition is positioned in a big tent in the heart of Docklands, near to Melbourne Star. See a display of pre-historic creatures such as the colossal Mammoths, fearsome Saber Tooth Tigers and everyone’s favourite the Tyrannosaurus Rex. 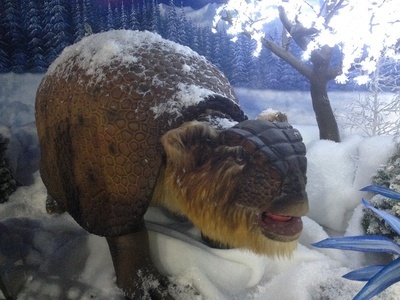 Little ones can pose for a picture inside a dinosaur egg or ride on top of a model baby Triceratops. What really captures the interest of little ones, is the interative activities such fossil digging, sand play, dino themed games, a huge jumping castle and a live show featuring Buddy & Tiny from the Dinosaur Train. 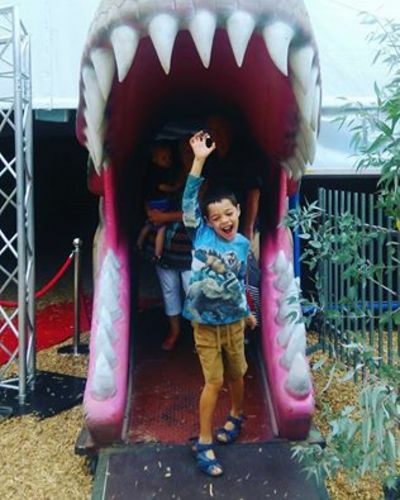 If you are looking for value for money, and a great day out for your little kids over the school holiday break, take a trip out to Docklands before Sunday 10 April, when Jurassic Creatures: Prehistoric Creatures of the Ice closes for the season. Book your tickets online to save time. Where: Harbour Town Melbourne, Waterfront City, Docklands, VIC. Find the pop-up exhibition near the base of the Melbourne Star. When: Check HERE for session times. Costs: From $32 adult, $22 children, $26 concession, under 2s free. Family pass (2 adults 2 children) $105. Don't miss Jurassic World: The Exhibition either, just make sure you leave your pre-schoolers at home.